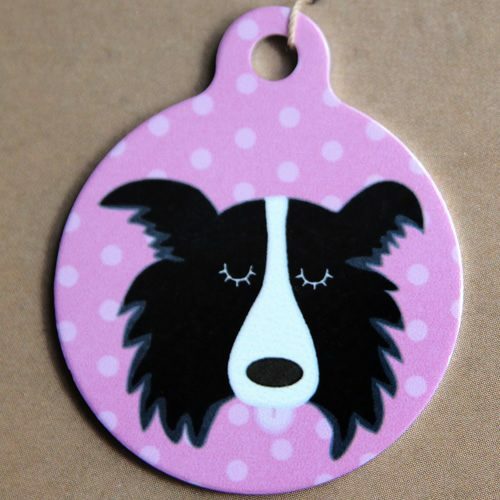 “I am chipped” dog tags are beautifully painted 32 mm bauble shaped aluminium dog tags. 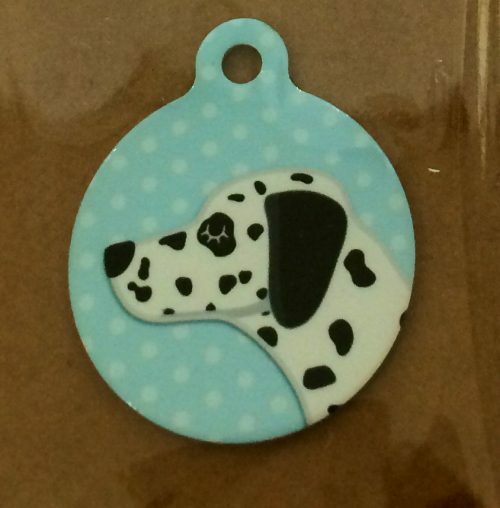 They are lightweight, robust and fit onto your pets collar. 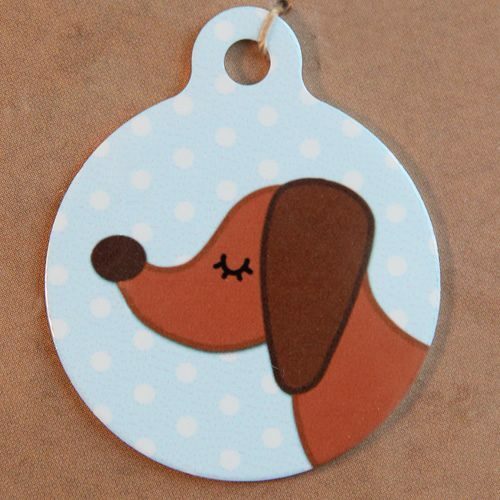 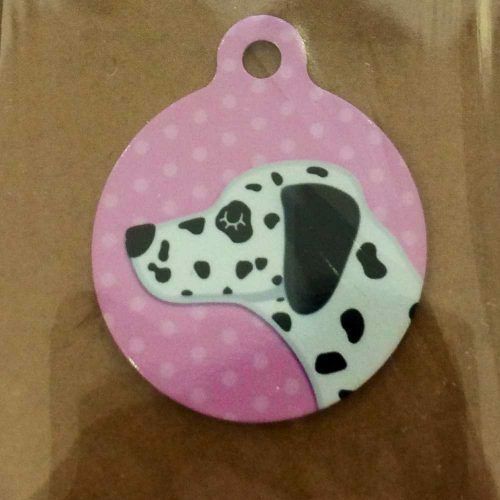 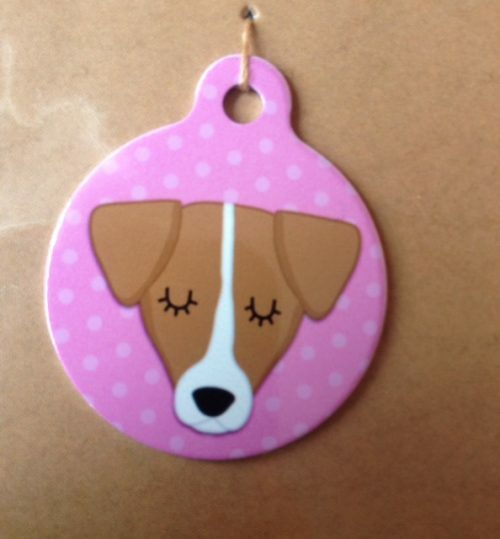 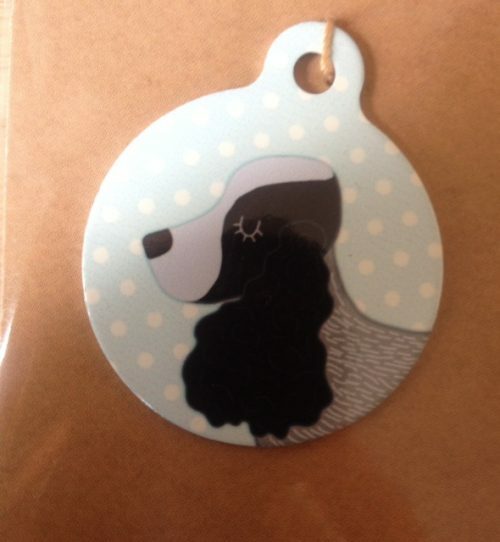 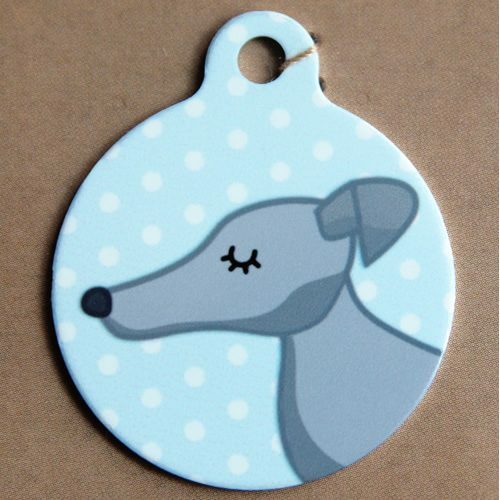 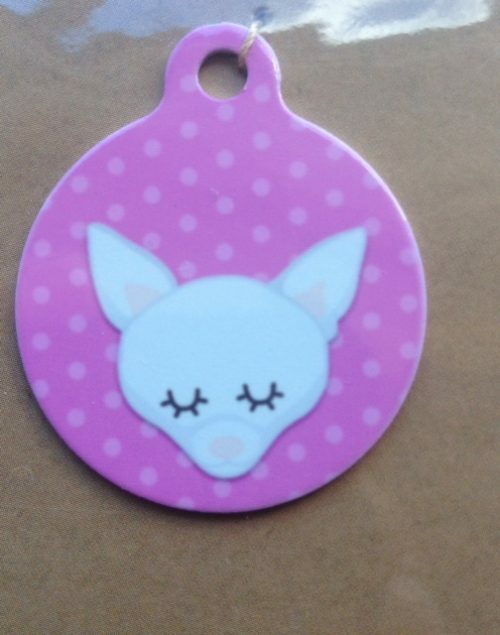 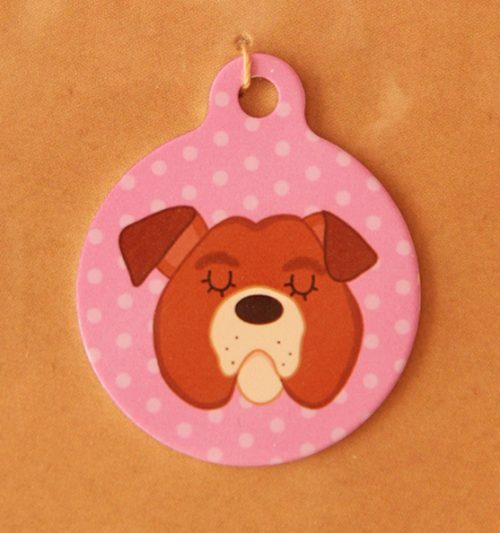 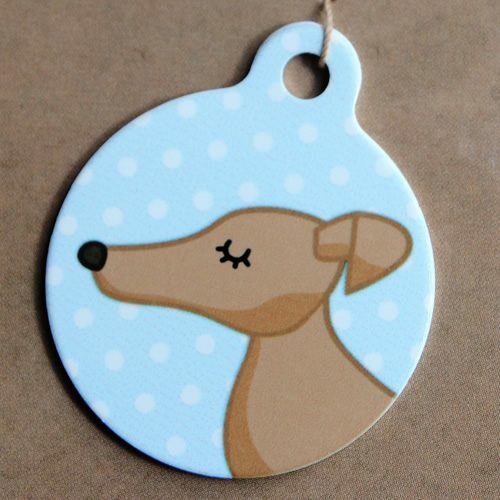 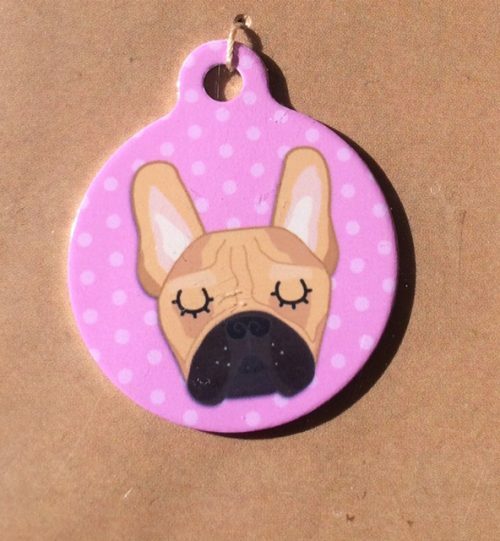 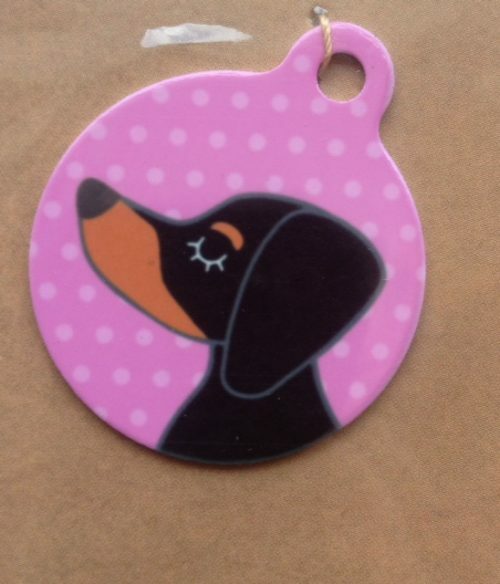 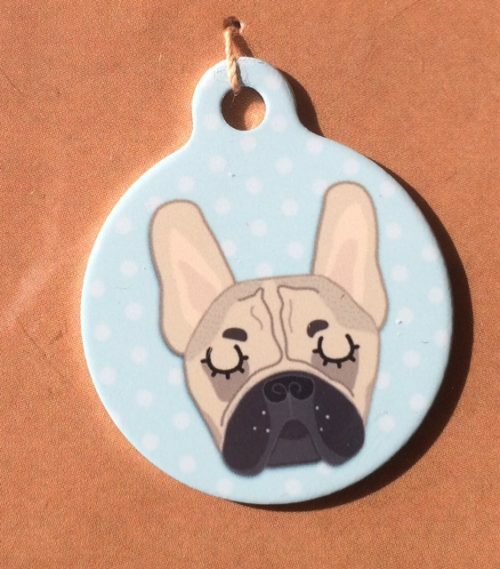 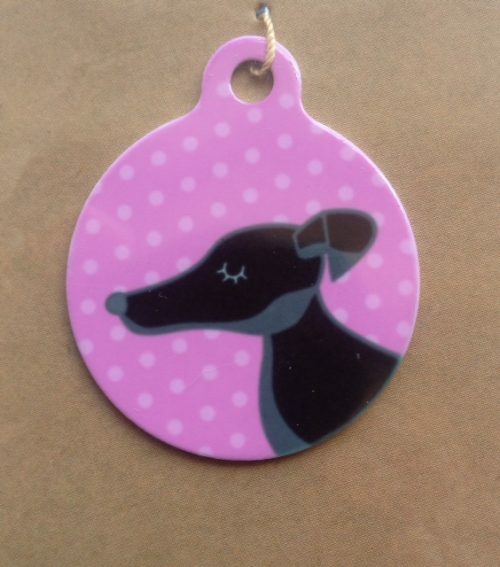 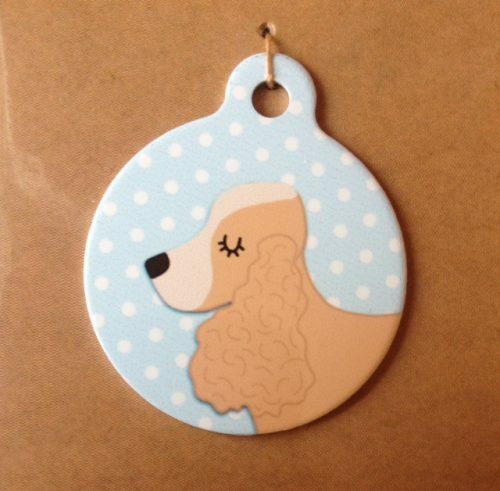 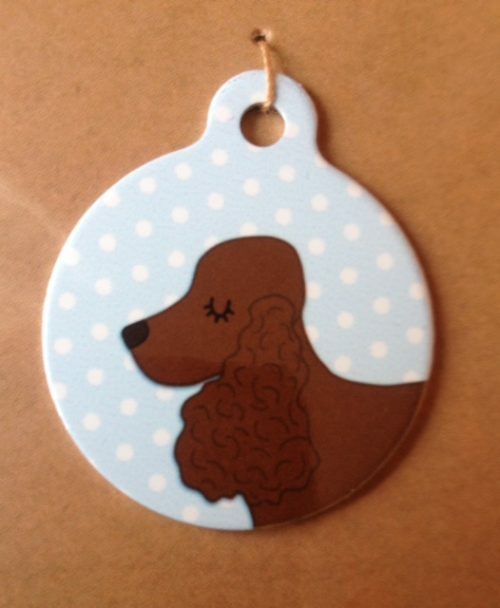 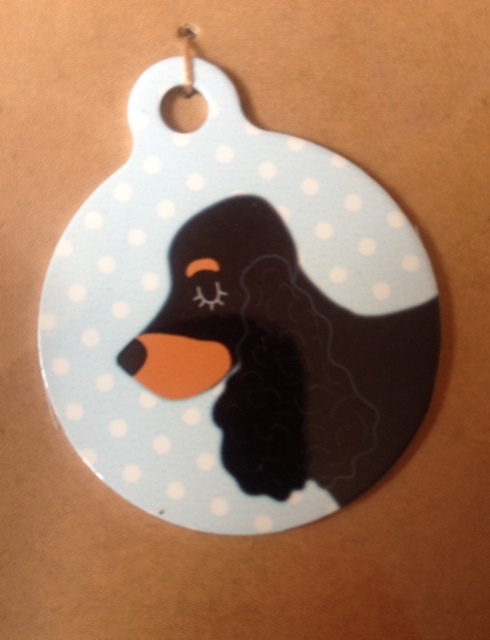 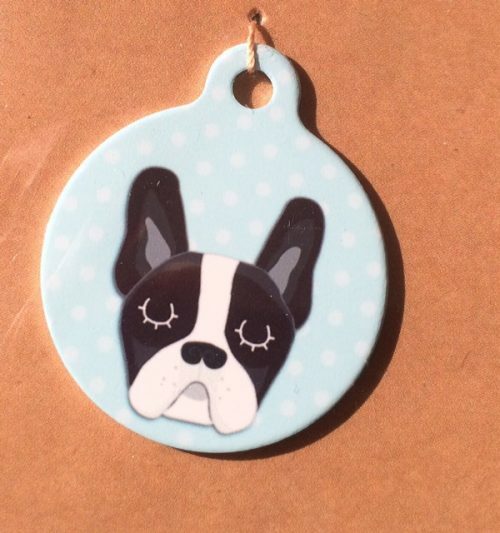 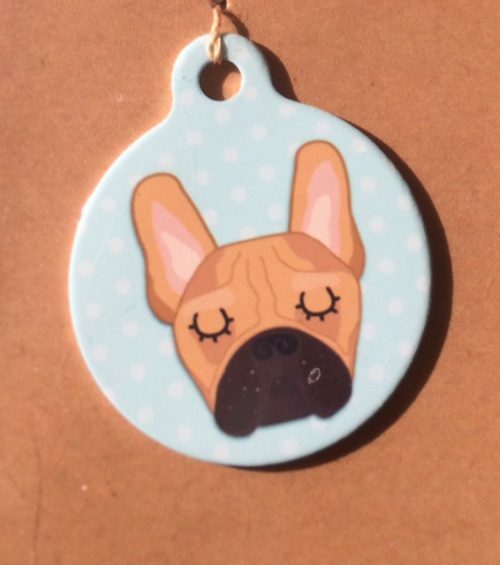 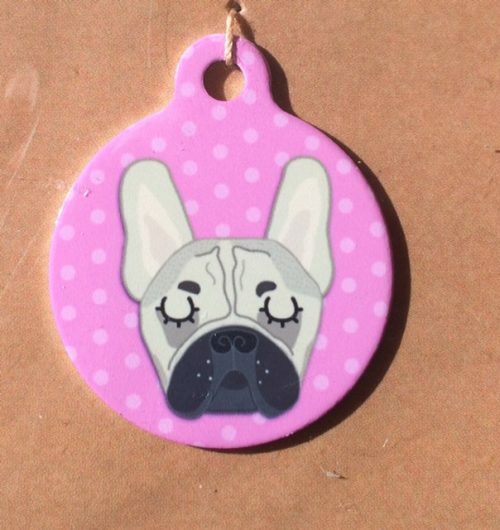 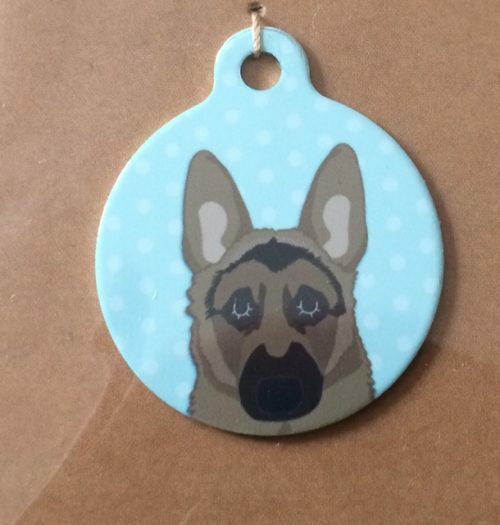 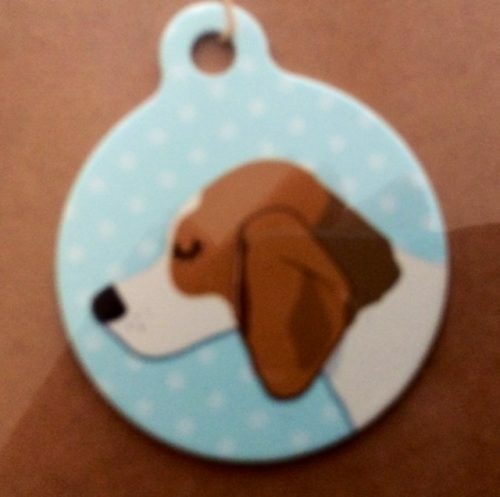 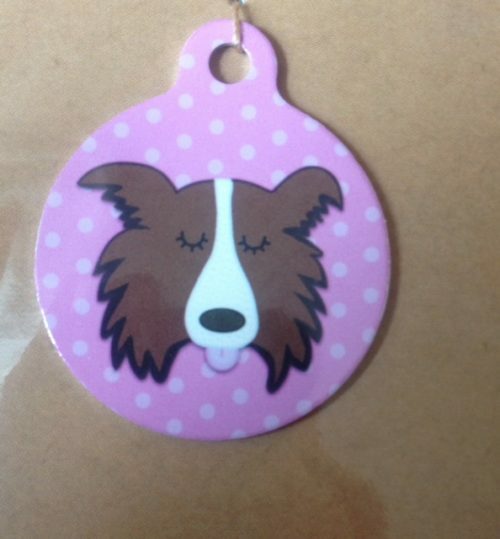 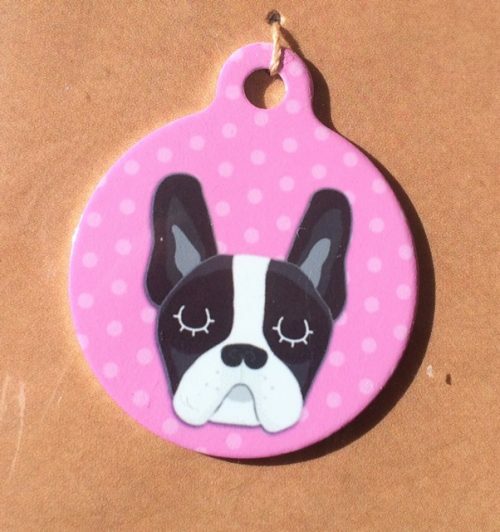 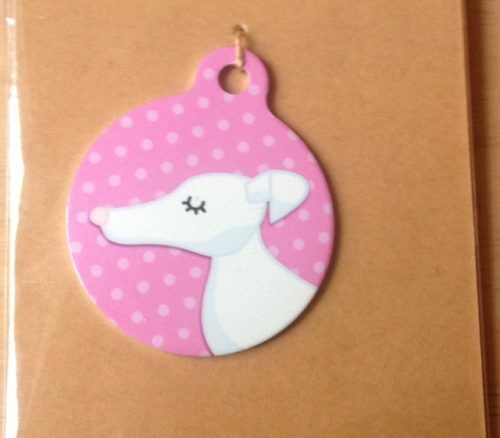 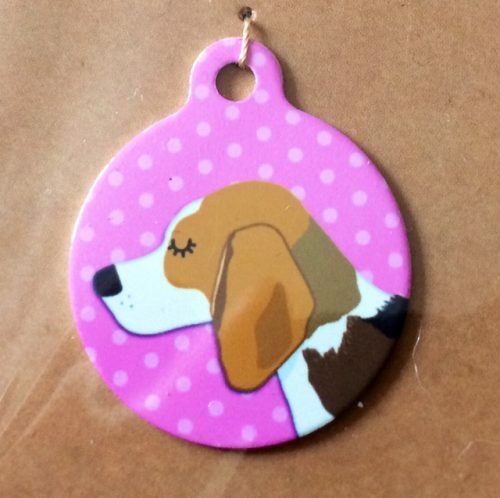 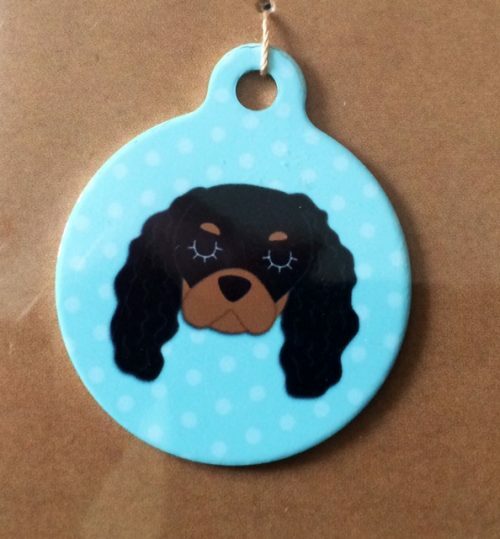 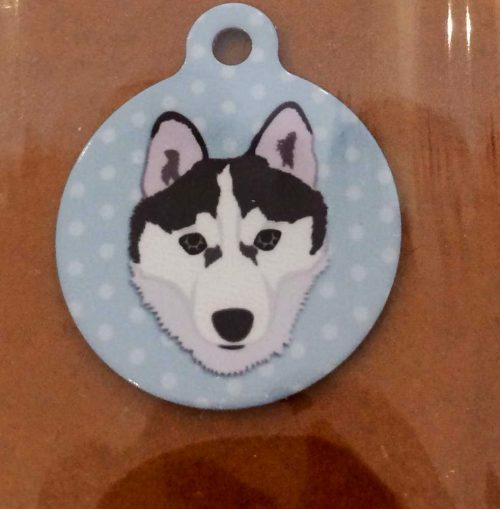 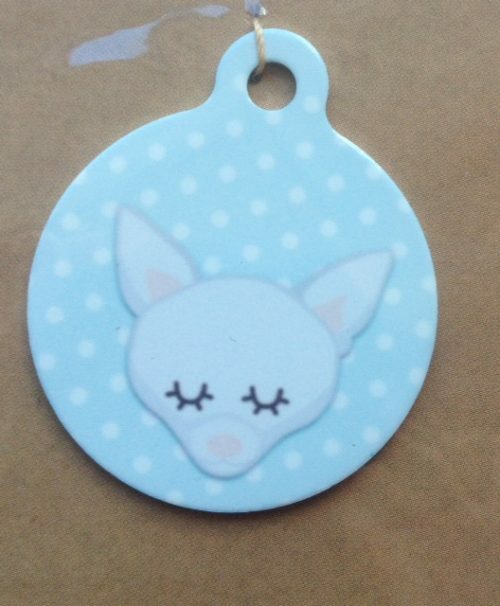 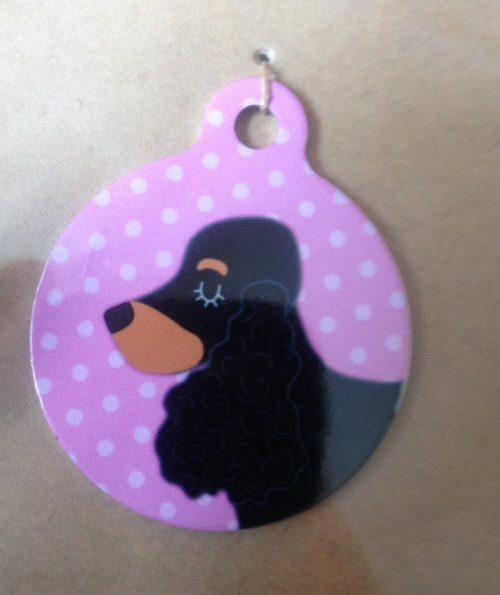 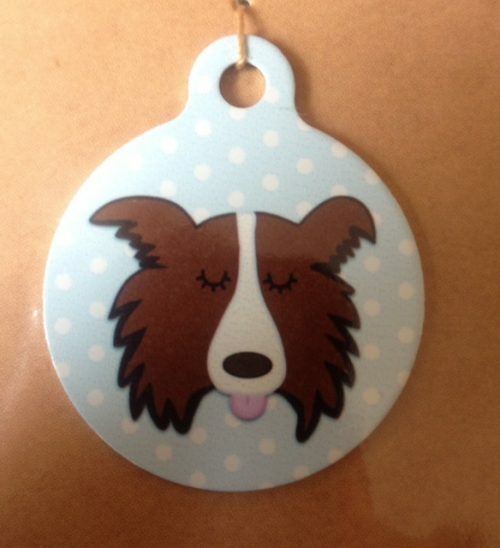 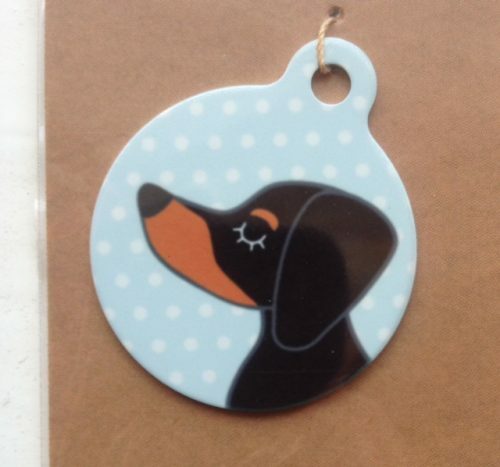 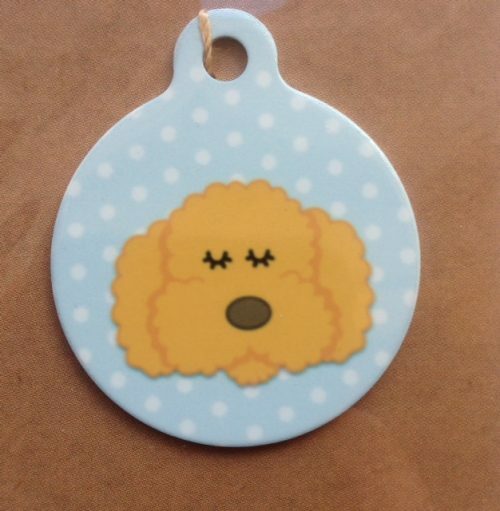 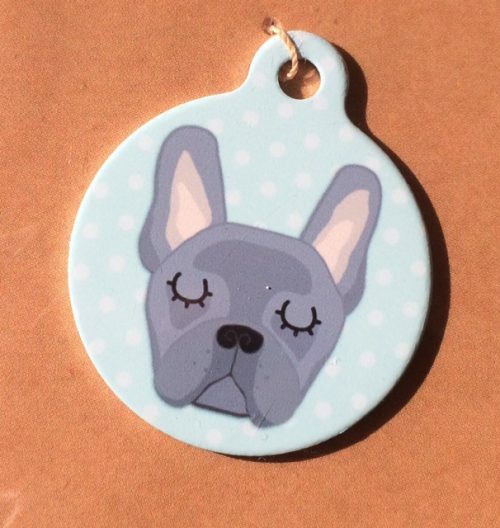 The original dog tag designs will help your pet stand out a mile. 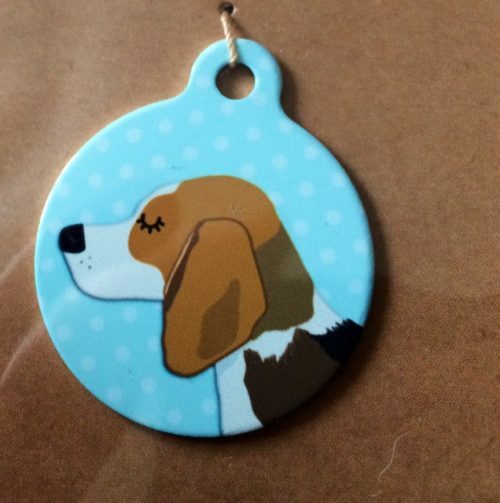 The front features a unique handmade design and the back has “I am chipped” printed. 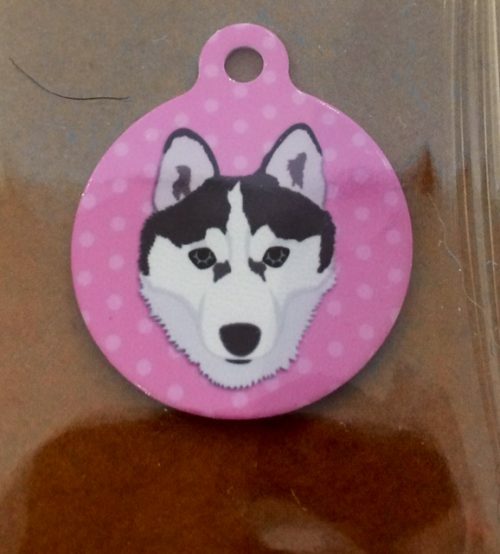 If your dog was ever to be lost it can be easily identified as being microchipped. 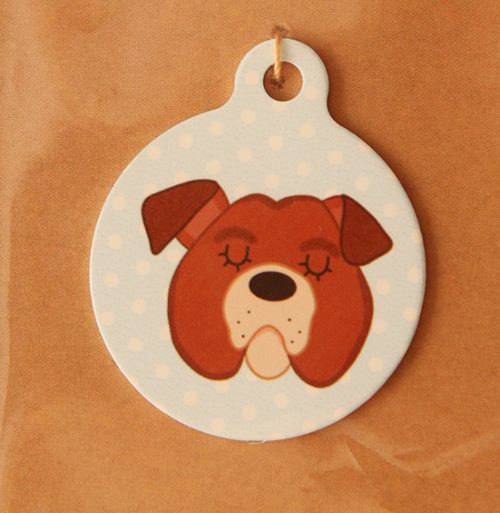 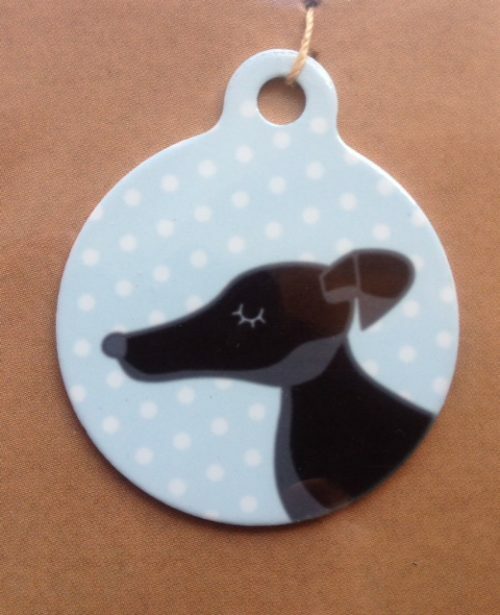 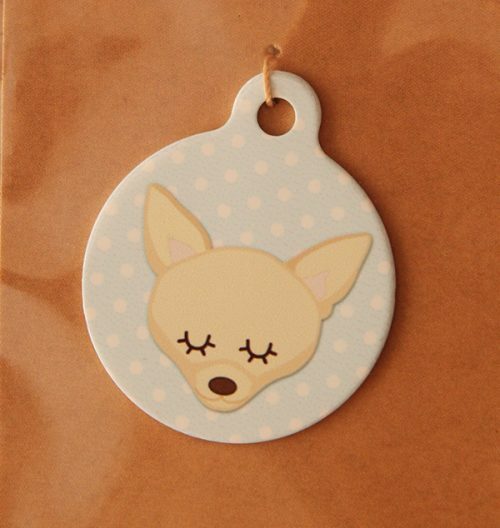 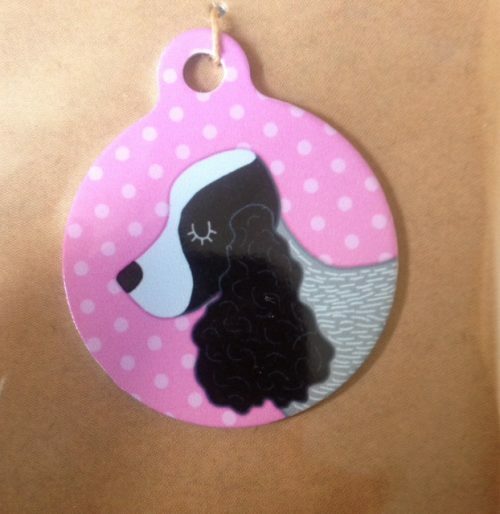 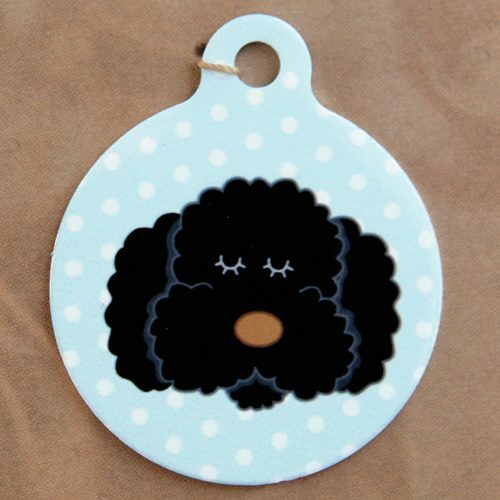 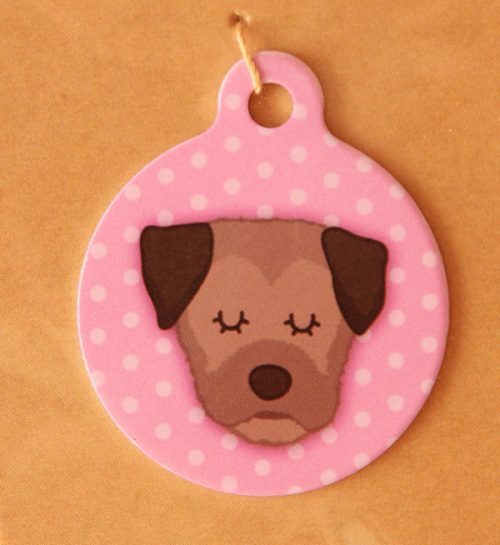 These handmade pet products are available with a pink or blue polka dot background and in an array of dog breed designs.